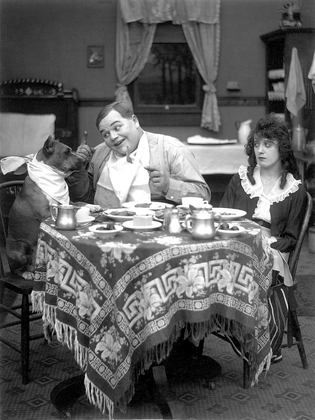 We get a lot of recognizable farm humor and newlywed jokes as well as a typical jilted lover out for revenge in this Mack Sennett slapstick movie starring Roscoe (Fatty) Arbuckle, Mabel Normand, and Al St. John. Careful Mabel, don’t cut yourself on that thing! 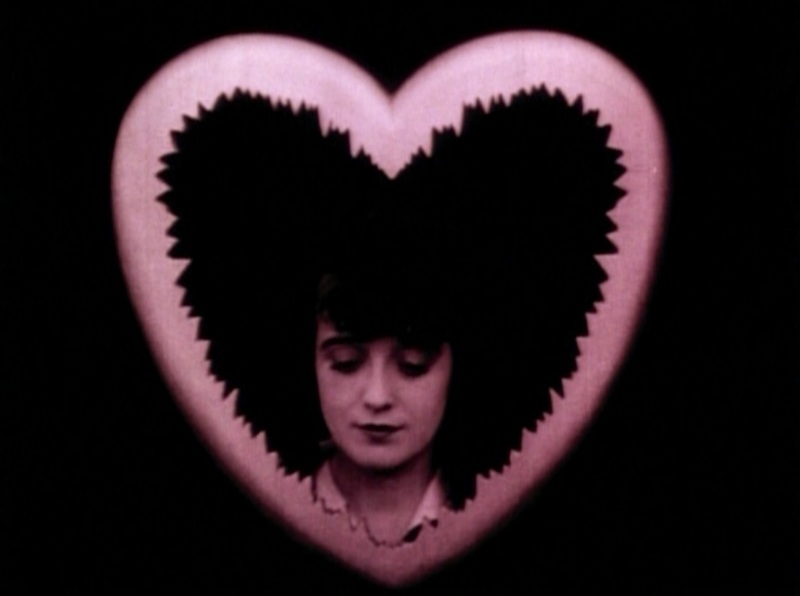 The simple love-triangle premise of this movie is established in a credits-sequence in which we see our principals outlined by jagged (and rather dangerous-looking) hearts. Fatty and Mabel move their hearts together and then join inside of one big heart. St. John watches this and then begins crying so hard his heart falls apart. This is then played out again as we watch Mabel and Fatty doing their chores together on Mabel’s father’s farm while St John shows up with a letter from his father (a neighboring farmer) suggesting that he turn over Mabel’s hand in marriage. When he’s refused, again he begins bawling so loud that they kick him into a haystack, from where he observes Mabel and Fatty together. Fatty shows off his great strength when he helps some city slickers fix their car and runs St. John off when he tries to put a move on Mabel in his absence. Those city slickers just happen to be renting beach cottages for vacations, and after the wedding, Fatty and Mabel head for one for their honeymoon. Mabel makes biscuits that come out like rocks and Fatty spends his days fishing with the dog – you should have seen the one that got away. Now St. John goes into full-on Ford Sterling mode and hatches an evil plan. After finding which cabin is theirs, he get into a fight with Fatty and runs into a gang of evil doers in a cave. Their boss eats dynamite and drinks gasoline. St. John hires a couple of the goons to help him undermine the posts holding up the cabin by during a storm, allowing it to slide down the beach at high tide and be swept off to sea. They wake up as their beds begin floating about the room. The house is far from land, and sinking! Meanwhile St. John and the goons get into a card game – they’ve seen how much money he’s got and plan to take him for all he’s worth. Fatty and Mabel send the dog to get help and climb to the top of the house. The dog goes to Mabel’s father and mother, who alert the coast guard that there’s a free-floating house, and there’s a multi-vehicle race to the rescue, including Mabel’s mom and dad diving into the drink on their bicycle before the coast guard speedboat finds them and pulls them in. The bad guys blow themselves up in the cave, and Fatty and Mabel kiss inside their jagged heart. 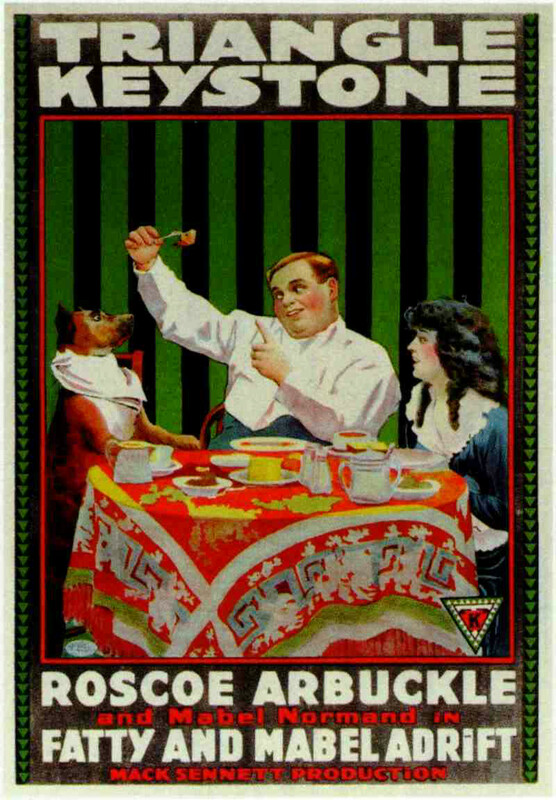 This movie is directed by Arbuckle, and it’s one of the best things I’ve seen him in. It has a much more complex story than the simple Keystones of earlier years, and time is taken to set up each gag and play it out, while the story often sits on the back-burner for a while. The image of the floating house is wonderfully surreal, and it clearly required a decent budget to make this happen. There are also some interesting lighting effects, as when Fatty leans over Mabel in bed, so that his shadow kisses her on the lips – although he’s still in the next room. I laughed particularly at the scenes involving getting wet or falling into water, which there are plenty of. 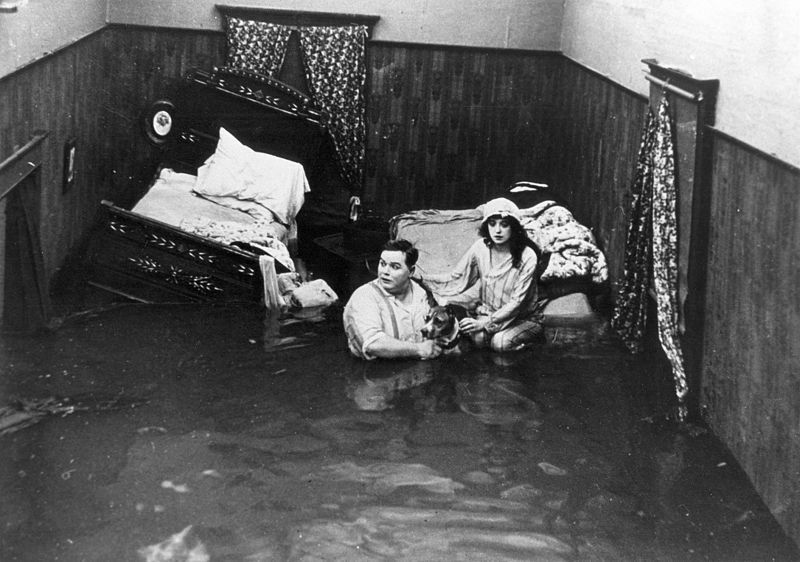 Al St John makes sort of an odd villain – he comes off mostly as spoiled and clueless, rather than evil, although he does conceive the idea of drowning Mabel and Fatty in this odd manner.